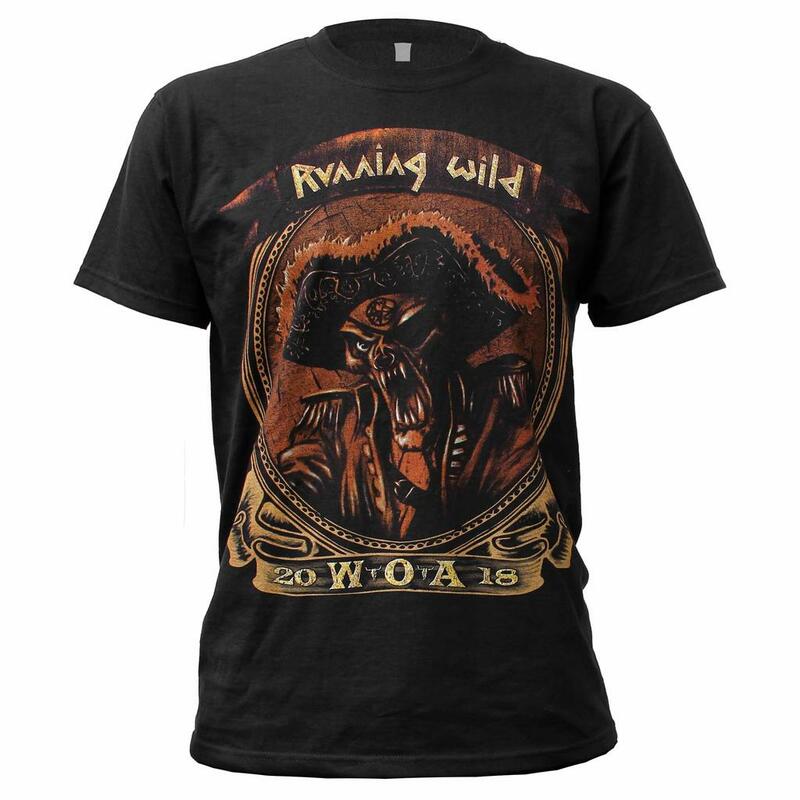 The official band shirt from Running Wild in occasion of their 30th anniversary of their 4th studio album Port Royal. 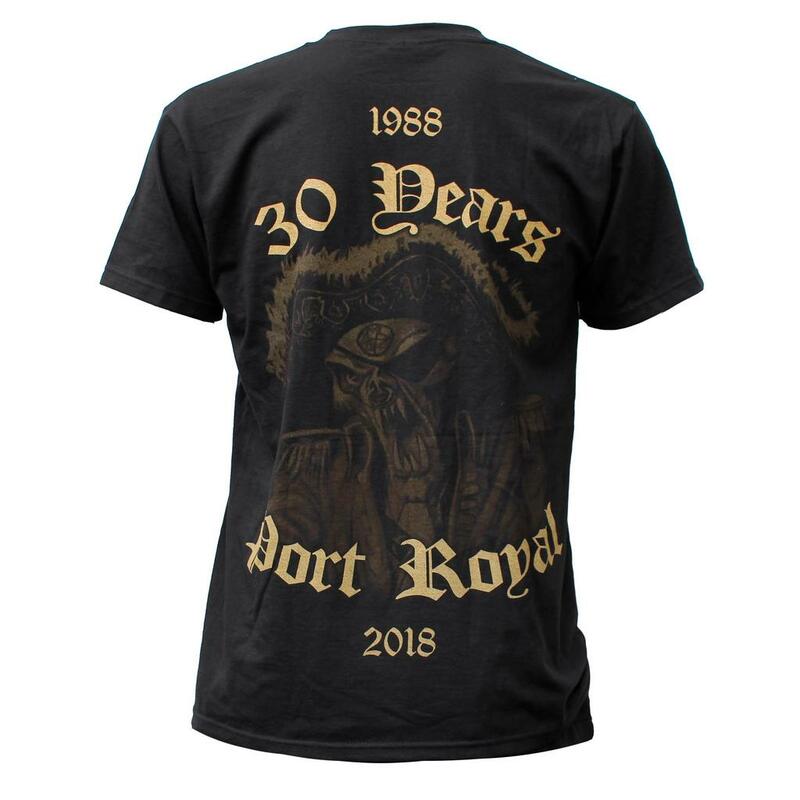 The shirt comes in black and a brown pirate frontprint and the anniversary date 30 years of Port Royal as backprint. 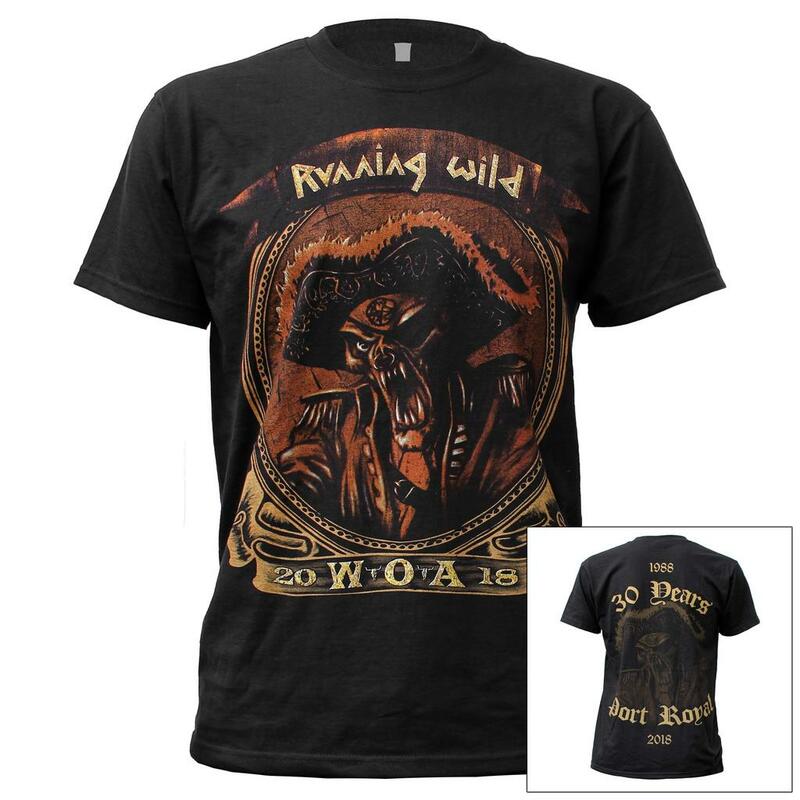 This shirt is made of high quality raw materials from Fruit Of The Loom.